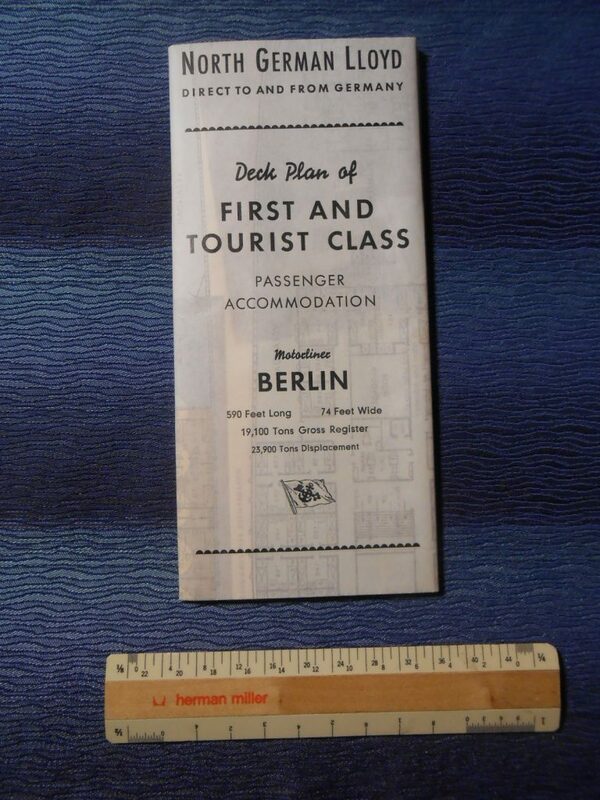 Excellent tissue deck plan for the adorable little Berlin. Once the Swedes flagship Grispholm .. she survived WW2 and was bought by the Germans to re-establish their presence on the North Atlantic route. Excellent condition with some color used to designate areas of the ship.